WikiLeaks co-founder Julian Assange could face trial in the U.S. after his Thursday arrest in London which the United Kingdom’s Metropolitan Police said occurred partly to extradite him to the United States. Assange, 47, had been living in the Ecuadorian embassy in London for seven years until Ecuador withdrew his asylum. He first holed up in the embassy when Sweden tried to extradite him because of sexual assault allegations, reported BBC. 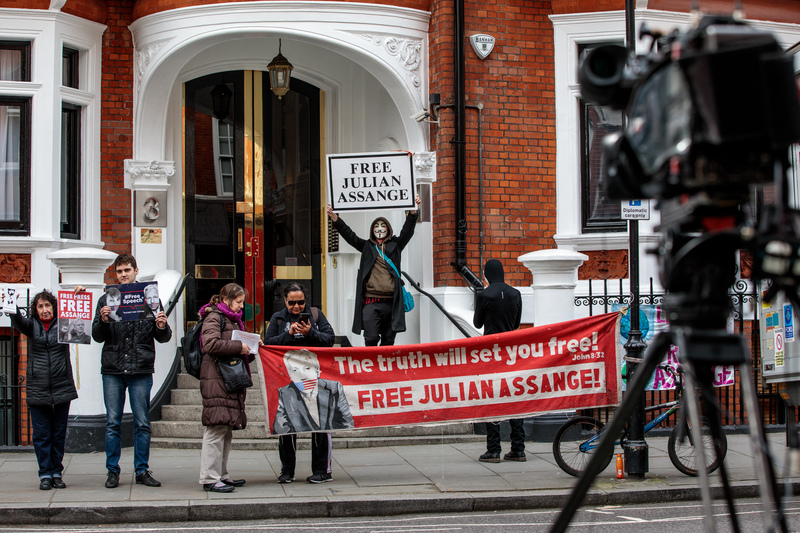 That case has been dropped, but Assange has remained in the embassy to avoid being extradited to the U.S. or another country he has claimed wants to question him. Police in the UK said they arrested Assange for failing to surrender to the court, reported BBC. Reports that the U.S. Department of Justice was preparing charges against Assange cropped up in November. Assange’s relationship with Ecuadorian officials could be characterized as anything but smooth. Ecuador felt the need to order Assange to take care of his cat and clean the bathroom in October. The WikiLeaks founder became a household name for publishing tens of thousands of documents related to the U.S. military. Assange’s name also popped up in special counsel Robert Mueller’s investigation of Russian interference in the 2016 presidential election, but Mueller’s January indictment of President Donald Trump associate Roger Stone alleged no direct contact with Assange.